Free autumn themed journal kit printable featuring watercolor leaves. This kit includes 11 journal cards and two full pages of beautiful watercolored leaves to use as stickers and/or embellishments in your journal or scrapbook. The air is turning colder here, which makes my heart go pitter-pat. I love autumn! Sweaters, soup, pumpkin flavored everything. Chilly evenings cheering on my favorite soccer player, or curled up on the couch with a book and my favorite people. I adore this time of year. Today I've got a fun download for you! 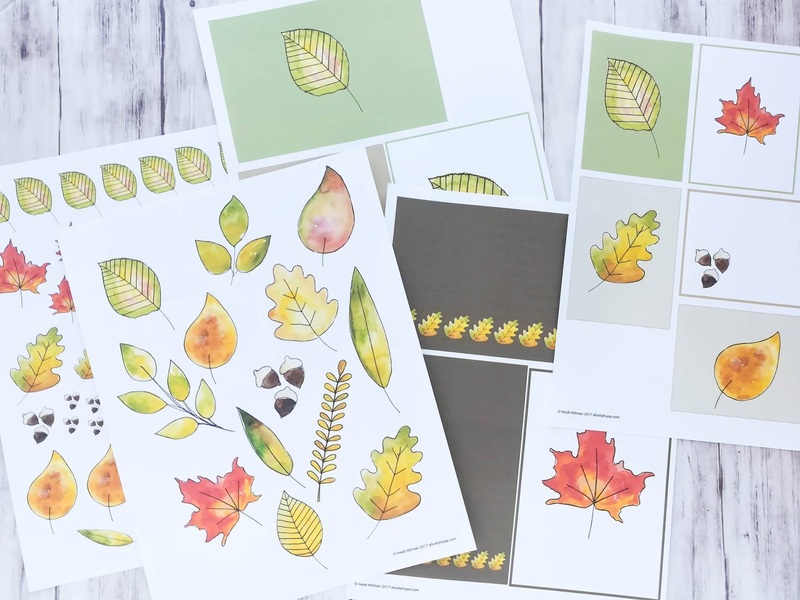 Free autumn leaves journaling cards and stickers/embellishments! I watercolored these just for you! 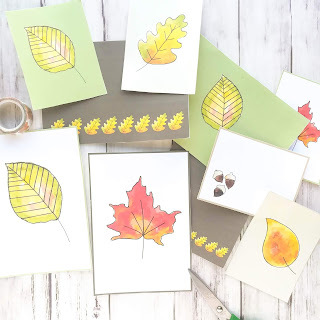 These beautiful watercolor autumn Leaves journal cards and stickers make a lovely addition to your scrapbook, pocket memory keeping, journal or planner. 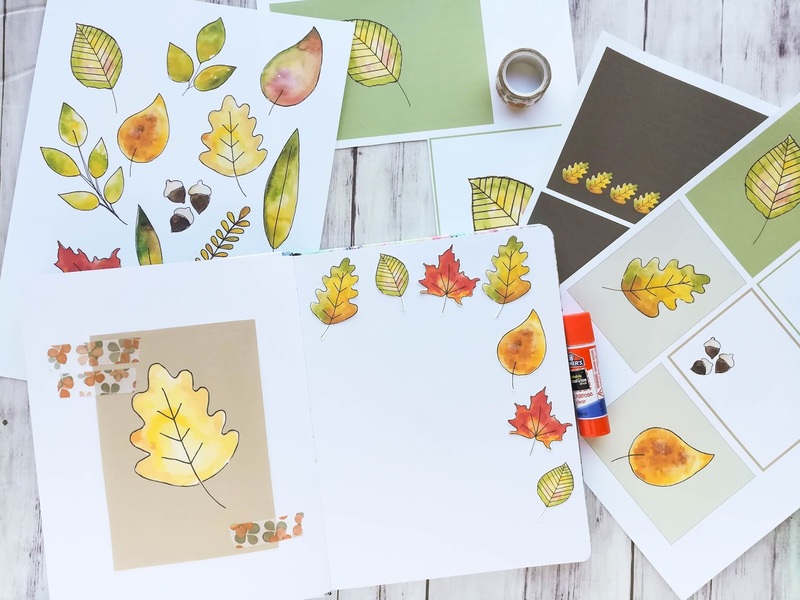 2 pages of autumn leaf themed watercolor illustrations of all different shapes and sizes. I love to add embellishments like this to my art journal and memory keeping pages! It's so simple, but makes a big impact as you can see on my journal page above. Over the next few days, I'll journal all around the card and the leaves. Another thing I love to do is make the journal card into a tipin by using washi tape on only one side, creating a little flap you can fold out and write on the back. This would be a perfect way to list the things you're grateful for. 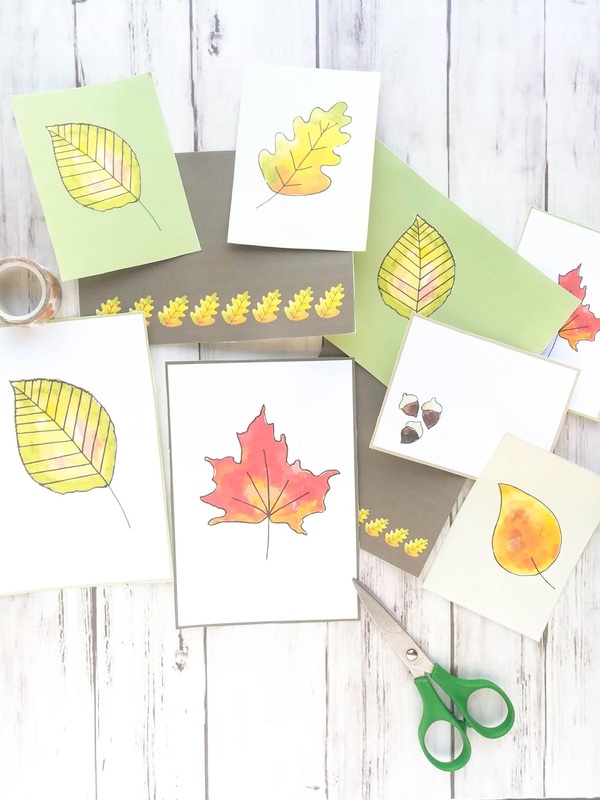 You could cut the leaves out and write one item you're grateful for on each leaf. You could print on sticker paper and cut out the shapes. Or print on regular paper/cardstock and glue/washi tape them. Journal cards are the perfect size to add to your Project Life spreads or other memory keeping projects.